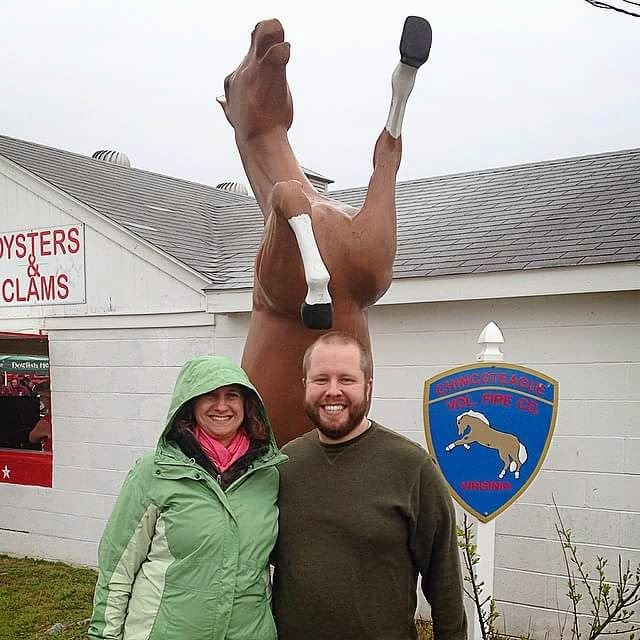 My wife Lauren and I recently made a trip to the picturesque town of Chincoteague, VA, to enjoy the first annual Saltwater Brew N Que. 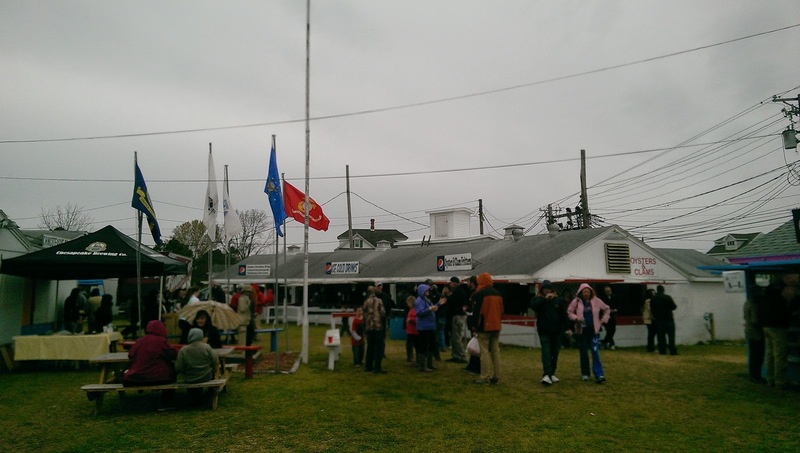 The event was hosted at the Chincoteage Fair Grounds and drew crowds and brews from all over Virginia and Maryland. 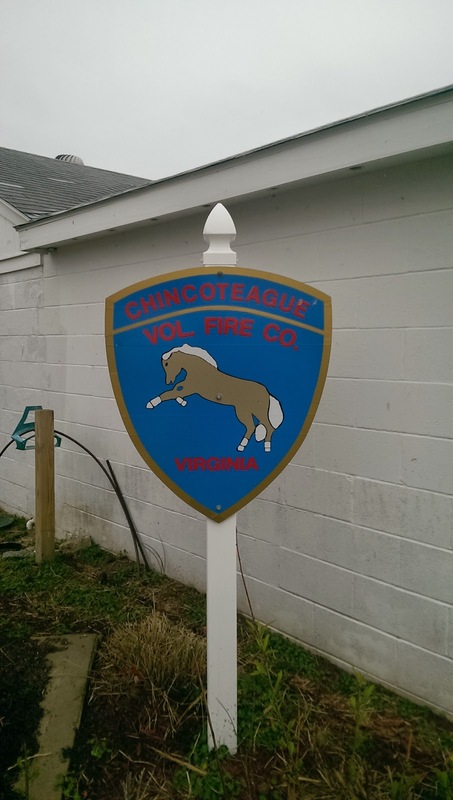 Now for all of us mainland Virginians, I'll start by giving you a heads up: If you're like me and you pronounce Chincoteage as it's spelled (Chin-co-teague).....you're wrong. Natives of the island will be quick to politely correct your pronunciation to "Shink-a-tig", which is actually easier to say than it's phonetic pronunciation, once you've had a few beers. We left our home in the hills of RVA and journeyed through the forests of the Virginia Peninsula, the urban hub of Norfolk, and on to the Modern Marvel that is the Chesapeake Bay Bridge-Tunnel. The beautiful (almost four hour) drive from my native Richmond reminded me just how lucky we are to call the Commonwealth home. We arrived shortly after Noon, checked into our hotel, and took our time sight seeing along Main Street. The short walk to the Fair Grounds was a welcome relief to anyone stuck in a car on a road trip. 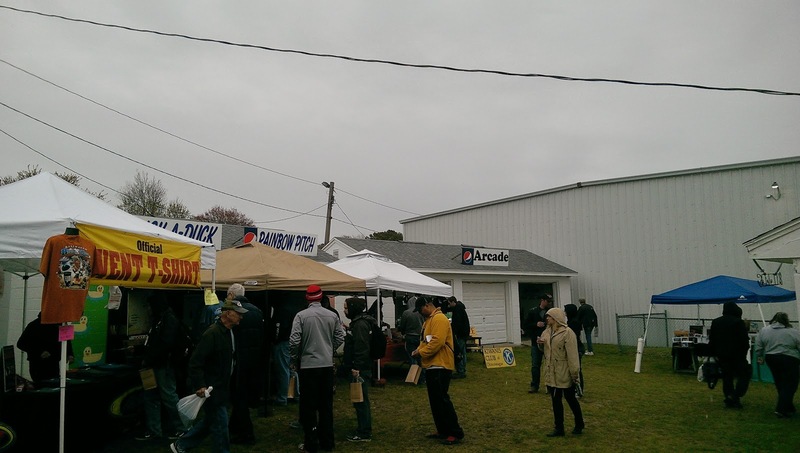 As you can see from the pictures, the weather was not kind to us Saturday but thankfully, that did not stop the crowds. The event was quite lengthy for typical Beer Fest Standards, going from 11am to 8pm (not to mention the Wing Tasting event held the night before). We arrived at the Fair Ground around 1pm to enjoy the Brews and Barbecue. Attendance was so high, that the front desk had already run out of souvenir tasting glasses. In lieu of this, we were provided plastic cups. As much as I had hoped to add the Saltwater Brew N Que tasting glass to my collection, I'm also very glad to see the turn out far exceeded their expectations. The young man at the counter was very apologetic and explained that they had ordered 800 glasses, all of which where gone in the first hour and a half. The beer selection was great but the brewers and brewery representatives seemed to be few and far between. I understand that schedule conflicts and the general remoteness of Chincoteage may have affected this but from my count, only four or five breweries were represented by someone at their tasting booth, besides a volunteer pourer with no more knowledge of the craft beverages than that which was written on the tasting notes on the table. Of course, the variety and quality of the beverages helped to make up for this. I was fortunate enough to speak with brewers and representatives from Assawomen Bay Brewing Company, Tall Tales Brewing Company, and Dogfish Head Craft Brewed Ales. All incredibly easy to speak to and great ambassadors for their brand. 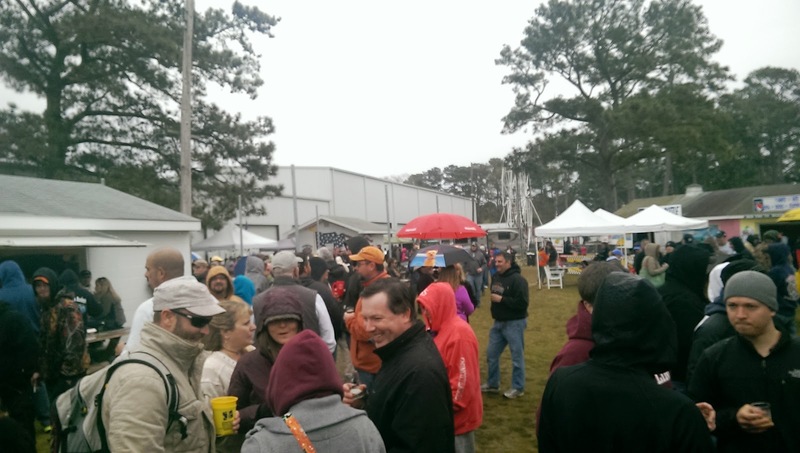 You can find the full list of all Brewers represented at the Saltwater Brew N Que here. As you can see from the list, it was an impressive line up, especially for an event in it's first year. As this is the first of what I hope will be many Saltwater Brew N Ques, I would like to offer a few points that I believe could make next years event even more enjoyable. Water Stations: The lady at the concession stand looked at me like I was crazy when I asked to have my tasting glass filled with tap water. Readily available water coolers help cleanse the palate and re-hydrate. Prepare for Rain: I saw what appeared to be a Bingo hall in the middle of the fairgrounds, filled with tables that was not open for shelter. 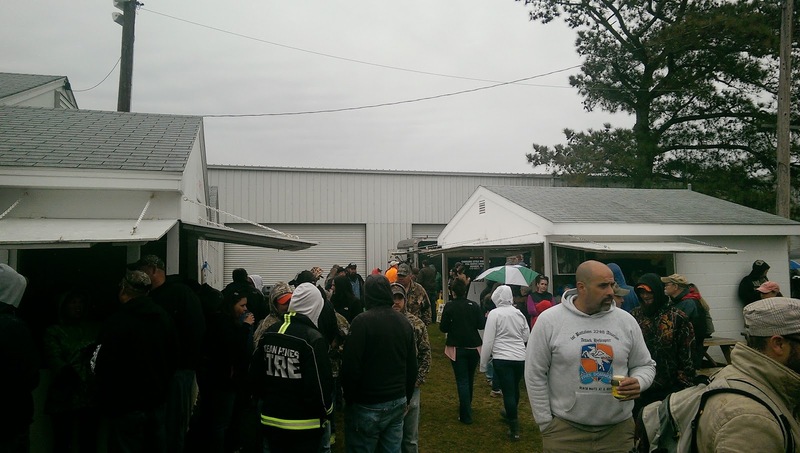 Nasty weather aside, we had a great time visiting both Chincoteague and the first ever Saltwater Brew N Que. I would like to extend a special shout out to the wonderful staff at the Waterside Inn, for making our stay especially comfortable. I'm looking forward to my next visit to Chincoteage, as well as the Second Annual Saltwater Brew N Que. Here's hoping for sunshine in 2016!